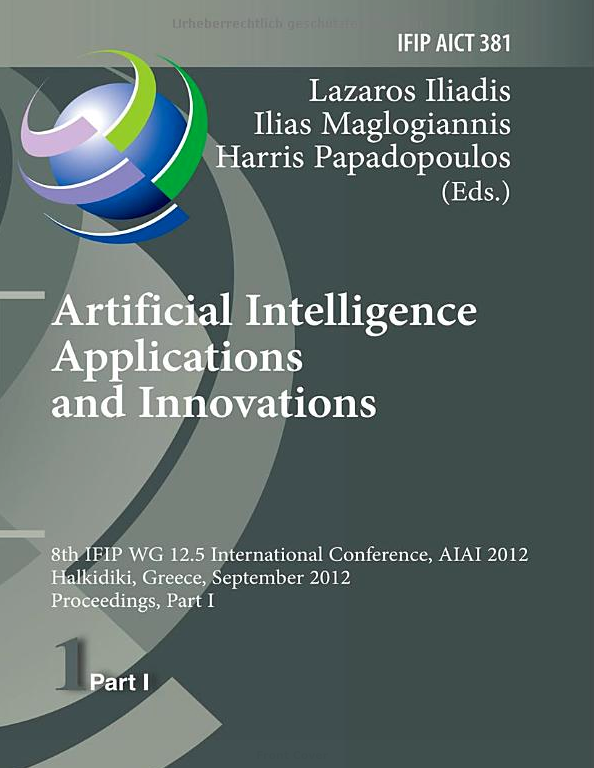 This book constitutes the refereed proceedings of the 8th IFIP WG 12.5 International Conference on Artificial Intelligence Applications and Innovations, AIAI 2012, held in Halkidiki, Greece, in September 2012. The 44 revised full papers and 5 revised short papers presented were carefully reviewed and selected from 98 submissions. The papers are organized in topical sections on ANN-classification and pattern recognition, optimization – genetic algorithms, artificial neural networks, learning and mining, fuzzy logic, classification – pattern recognition, multi-agent systems, multi-attribute DSS, clustering, image-video classification and processing, and engineering applications of AI and artificial neural networks.